Borneo is really about islands and gorgeous beaches! Head to Jesselton Ferry port and choose where to go. We tried the three best ones: Manukan Island, Mamutik Island and Sapi Island. And the winner is…Manukan Island! Because there is this very cute restaurant at the end of the island, serving good Malay food and fresh coconut water! Plus, the water is crystal blue and you can spot Nemo and its family when snorkeling. Are you a sporty one? Well, you may consider doing this – I definitely could not (I am more a beach type of girl). So for those who are too lazy to climb, you can find very nice view spots on the way to Kinabalu park. Stop the car, strike a pose and immortalize the moment. We did it and we approved it! That is a lovely experience: just picture yourself sipping your Cosmopolitan* (our favorite cocktail! ), listening to music and enjoying the view. A multicolored sunset, from orange to yellow, with the islands in the background. Priceless! You got my point: Kota Kinabalu is an amazing getaway. Do like us: bring what you need to maintain your fashionista status. We took our La Mariee tote bag (in limited edition – get it now before it is sold out! ), our friendship trio bangles and our leather bracelet. 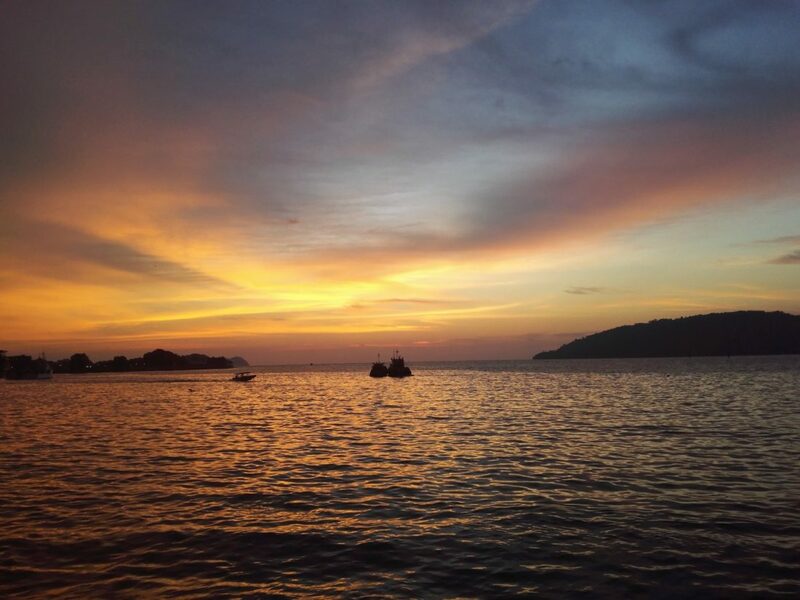 Have a look at our album to discover our favorite clichés of Kota Kinabalu. 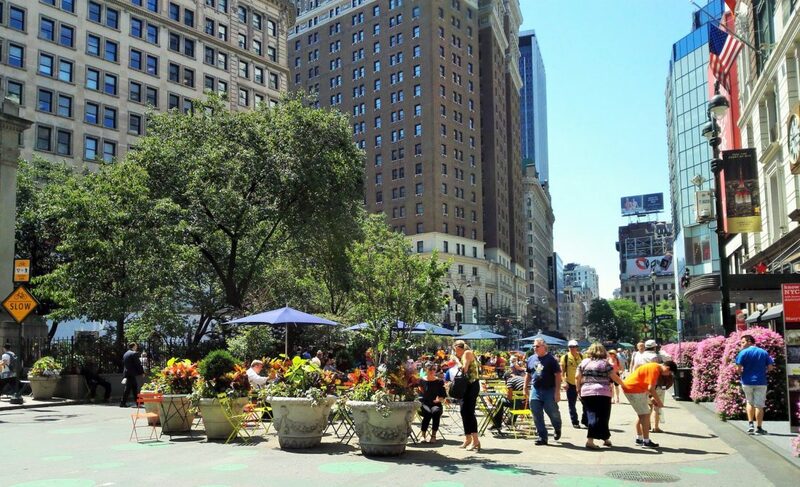 If you happen to be in New York in July, don’t miss the summer Broadway Bites, at the Greeley Square, next to the Empire State Building and Macy’s. After walking the whole morning, you deserve a nice lunch break, from tacos to noodles. It is always crowded but such a worthy experience (just be sure to get a table and a chair and enjoy!). And no worries, there is another edition in fall. It is just an incredible adventure to go to the Chelsea market and find something unexpected. A book, a jewel, or a headband made with green feathers (true story!). A good afternoon shopping with the girls, lots of fun and laughter guaranteed. Perfect to escape the hot summer outside or the freezing cold in winter. –Having a drink at the 230 Fifth rooftop? Girls just wanna have fun, sung Cyndi Lauper. And she is so right! Head to the 230 Fifth Rooftop Garden Bar – where cocktails* are as good as the view. And we just love the cozy atmosphere, and the blankets they offer outside in winter. Is there a better way to talk about the next getaway? So now, are you ready for a girls’ trip in New-York? Bring with you our Thick Skin Tote bag, perfect for a New-York style during the day, and shine with our Darling pouch while dancing and sipping your cocktail* with the girls! You saw her everywhere – on our website, on our social media channels, and you wondered who she was. 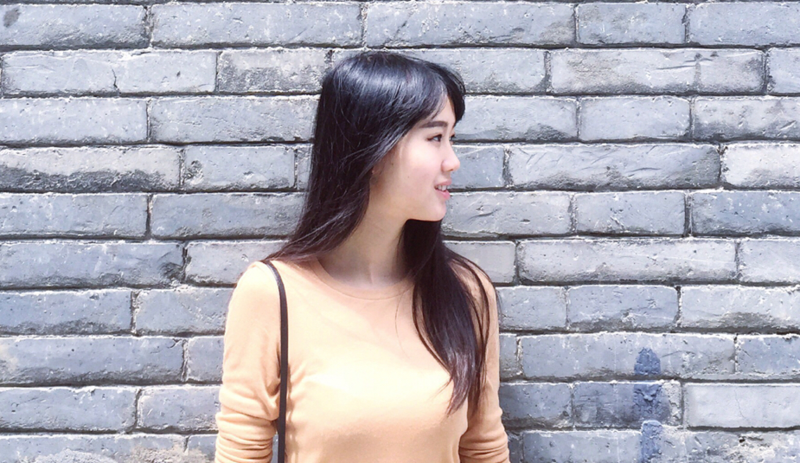 Meet our muse Lucy, fashion designer based in Shenzhen, China, and face of the 2016 Collection of The Noces. TN: Could you tell us more about you? L: Hi! My name is Lucy, I come from a small town in Hunan province, China, a place with high mountains, rivers and lots of tea shops. Very peaceful, not like in the big city. Since my childhood, I really like painting and handcrafting, allowing me to foster my imagination. I have been so lucky to embed creativity into my career. I am a fashion designer, currently working for a Men fashion Brand (Kermit Psyche). I love so many things in this world. And there is still more for me to discover. Different places, people, cultures…: they are the reasons that keep my ideas alive and give me energy! I’m always happy to learn a new dance or speak a new language, because I don’t know who I could be in a different way! And I love the change! TN: What does fashion mean to you? L: Fashion for me is an attitude of life, your thoughts decide how you dress, in the same way how you dress can change the way you think. I always like to try different styles, it makes me feel different and makes me want to do different things. My inspiration comes from everything around me. It can be the shapes of the building, a picture, the colour of a flower, fabrics … but of course the most direct inspiration is from other designers. Everyone is a designer from the past till the future. I am just the one who can put my imagination into real products. I hope that in the future, with the help of new technologies, everybody can do the same. As for me, I always have tight tops in my wardrobe, one should always be confident with one’s body, no matter what the world thinks. TN: Could you tell us more about the collaboration with The Noces? L: I was looking for a new fashion opportunity and when I heard about The Noces, I was impressed as I can see its beauty and its potential. Modelling was really fun, I felt a bit shy at first and I really tried to understand what we want to show and express from The Noces. The first collection is beautiful! I notice all the products are made with fabric. In the future, The Noces could have more different materials / shapes /products. I look forward to collaborating more with The Noces to reach another Fashion level! Today’s post is an open letter from Faniriana, a beautiful young girl from Madagascar and a passionate writer. Here’s what she has to say to you about having your honeymoon in Madagascar. “Want to go on a fabulous and original honeymoon? Well, if you have chosen to go to Madagascar, you definitely have made the right choice. 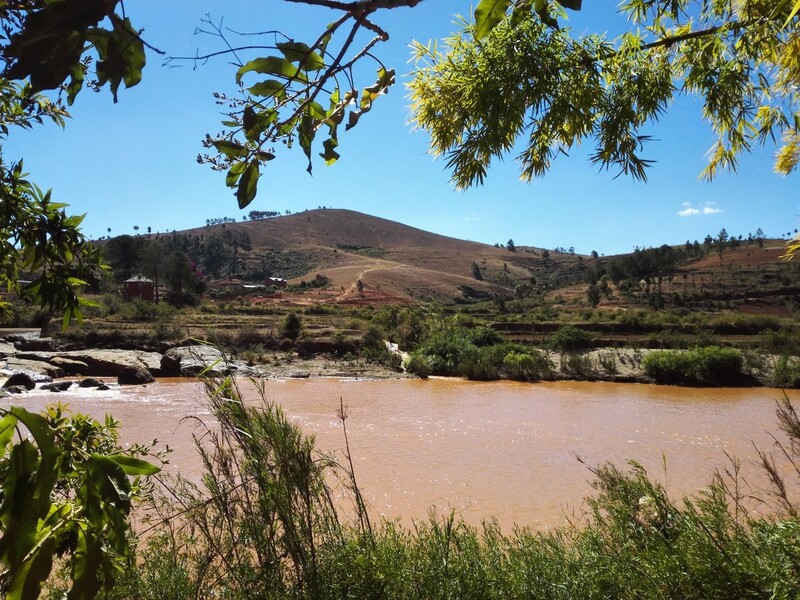 Madagascar is a beautiful country with a lot of scenery and landscape you won’t find anywhere else. You won’t regret coming there and discover its wild and natural beauty. As far as I’m concerned, I’ve been to many places and I loved them all but my favorite place to go especially for a honeymoon will always be Morondava. If you are keen on adventures, new discoveries and simple life, Morondava is made for you. With its famous “allée des baobabs” you will surely have the most romantic walk with the love of your life when the sun is about to go down and you will be amazed at the sight of the nature’s beauty. Or both of you can go on a jaunt to Betania, a kind of desert island which is not too far away from the city. This island will certainly give you the opportunity to appreciate each other and to have a fantastic journey you won’t forget as it s very quiet and very beautiful. Also for adrenaline lovers, flying above the “Tsingy de Bemaraha” will satisfy their thirst for adventures for sure. You can also have relaxing moment together at the beach which is near most of the accommodation you will be in. In addition to that, the weather is always in your favor in Morondava, which means sun, breezes and a little bit of coolness in the evening!